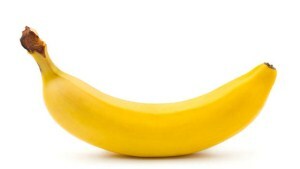 Did you know that the banana has more than twice the carbohydrates and five times the vitamin A than apples. Besides bananas are also rich in potassium. Thus the bananas are beneficial to health. In the previous article I once wrote an article about "How to Cope with Natural Ulcer Disease". And in the post I have menjelasakn how to treat stomach ulcers with herbs. Well, it turns out in addition to herbs, bananas can also be a solution when we heartburn. If heartburn attack, eat a banana and pain caused by the ulcer will soon be reduced because bananas have a prophylactic agent of acid in the body so as to relieve heartburn. Acne interfere with your appearance? Exterminate only with masks bananas! Caranyapun easy you just need to destroy meat bananas which have matured sufficiently, then apply on the skin with acne. Furthermore, let stand for 15-30 minutes, then wash. Perform these tips on a regular basis until the acne is completely gone. Your skin looks dull and rough? May mask the banana and honey could be a solution for your way, mashed ripe bananas in a blender, then mix with 2 tablespoons of honey. After that you can put on a mask banana on your face. Let stand 10-25 minutes after that and then you wash your face with water and feel the difference. Bananas are also useful in memngalirkan oxygen to the brain due to a banana itself is rich in potassium, so the content in bananas helps the circulation of oxygen to the brain and also prevent high blood pressure and stroke. 0 Response to "9 Benefits of Bananas"